Reading and share top 3 famous quotes and sayings about King George Iii by famous authors and people. Browse top 3 famous quotes and sayings about King George Iii by most favorite authors. 1. "I am the King. I tell. I am not told. I am the verb, sir. 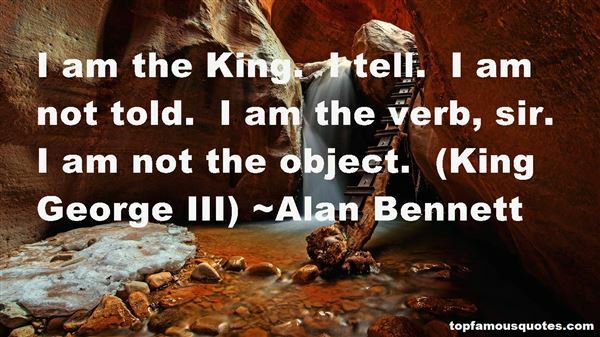 I am not the object. (King George III)"
2. "By today's standards King George III was a very mild tyrant indeed. He taxed his American colonists at a rate of only pennies per annum. His actual impact on their personal lives was trivial. He had arbitrary power over them in law and in principle but in fact it was seldom exercised. 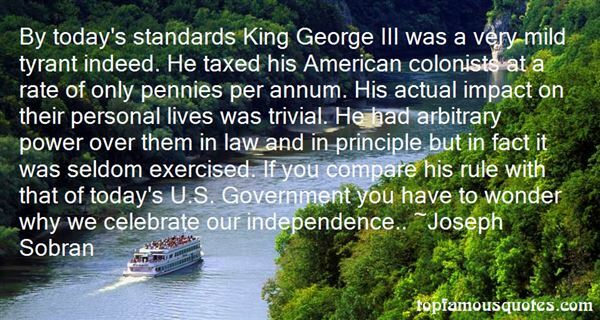 If you compare his rule with that of today's U.S. Government you have to wonder why we celebrate our independence.."
3. 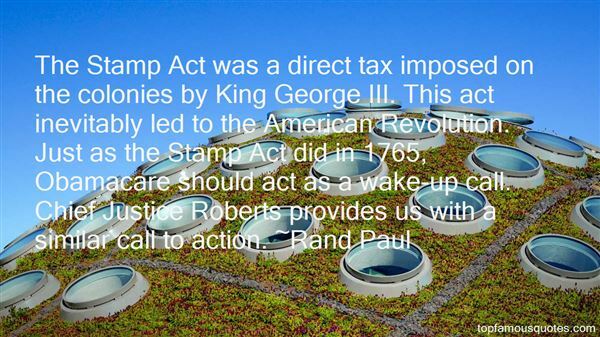 "The Stamp Act was a direct tax imposed on the colonies by King George III. This act inevitably led to the American Revolution. Just as the Stamp Act did in 1765, Obamacare should act as a wake-up call. Chief Justice Roberts provides us with a similar call to action." Your brain gets too comfortable in your everyday surroundings. You need to make it uncomfortable. You need to spend some time in another land, among people that do things differently than you. Travel makes the world look new, and when the world looks new, our brains work harder."